Company Profile - PROint d.o.o. 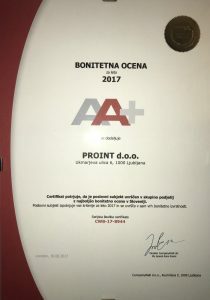 Name of a company: PROint, vodenje in upravljanje družb, d.o.o. Shortened name of a company: PROint d.o.o. We suggest you to call us before visiting us so we can agree for a term.